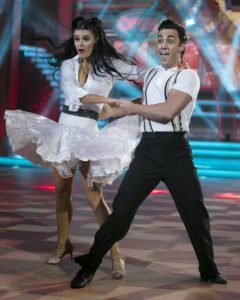 “This Sunday is week 12 of DWTS and the Grand Final where the remaining three contestants, Anna Geary, Jake Carter and Deirdre O’Kane will dance it out to become the 2018 champion and take home the prized Glitter Ball Trophy. 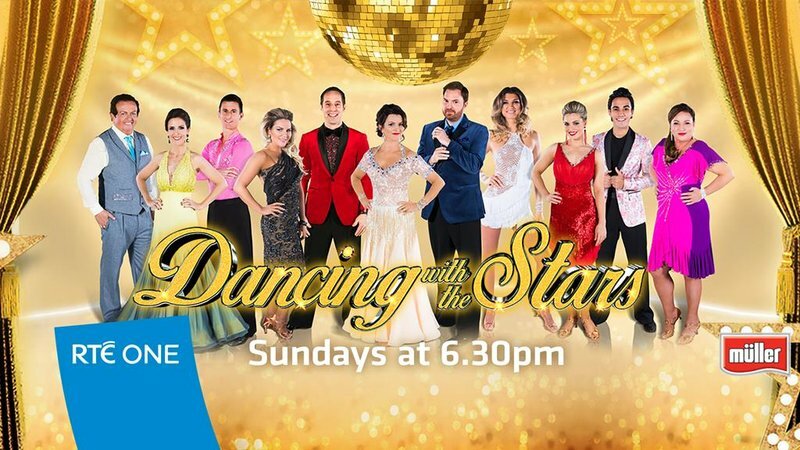 The series has once again proved a great success for RTE and the highest rated entertainment show on television each week with an average audience share of 37% and a reach of over 1.3million viewers throughout the entire 2hrs. 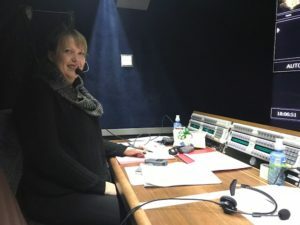 This success is a combination of the high production values of Shinawil, the Independent Production Company behind the format and the dedicated crew behind the scenes who bring professional sparkle and glitter from each of their disciplines live to our TV screens each week. 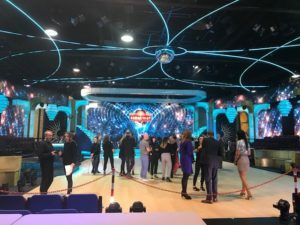 As the Vision Mixer on the show, I work closely with the Director to ensure that the camera choreography that has been visualised and scripted is executed to the exact beats within the music or at particular action points within the dance sequence, to relay the story to the viewer at home. 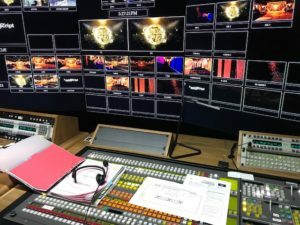 The Vision Mixer is the live editor and last port-of-call for the pictures that reach the television screens at home, combining all the visual elements of the show, i.e. 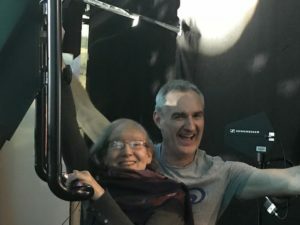 camera images, recorded video inserts, graphics, and visual effects to transport the viewer inside the Ardmore Film Factory in Bray, where the show comes from each week, as if they were actually sitting there in the audience. The Vision Mixer is the eyes of the viewer at home, carefully watching and scanning all 10 camera images simultaneously and selecting the right one at the right time to capture the moment. But my job makes up only one element of a large production crew who’s combined skills make up DWTS. The pictures would be very dark and the set very bland without the wonderful lighting team. The contestants would look quite pale and ordinary if Hair, Make Up and wardrobe didn’t work their magic first and we would be back to the era of silent films without Sound, not to mention the Producers, Assistant Producers, Directors, Broadcast Co-Ordinators, Designers, the Art Dept., the Choreographers, Scriptwriters, Floor and Stage Management, Camera Operators, Camera Assistants, Grips, Engineers, EVS and Graphics Operators, Autocue, Runners and the host of talented people that have come together for the past 12 weekends to showcase the on-screen talent of the Presenters, Judges, the Professional Dancers and of course the Contestants.